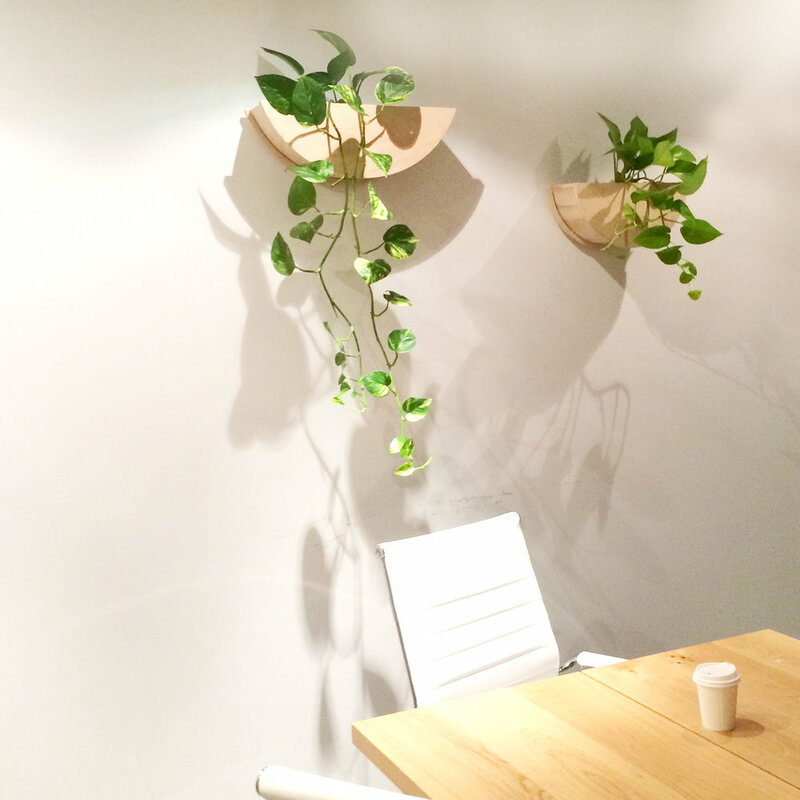 Sustainable and local was the brief for Koala’s large feature planter wall, rooftop garden and showroom design. The layering of broad leaf and trailing plants in our Cloud Nine Planters create a lush, abstract interior landscape to fill the lofty ex-gallery interior. The moveable showroom partitions are a playful take on the Koala brand, and the salvaged Australian timber rooftop garden provides a sheltered, protected environment from which team members and their guests can enjoy the view.